Nokia has been synonymous with bad news of late. This past week alone, the Finnish communications giant lost a 3G patent case to IPCom, and news emerged that Nokia is closing many of its online stores across Europe. Throw into the mix other news that may have missed your radar such as losing key staff to competitors, and the company’s gradual shift towards the land of Microsoft, then you could be forgiven for concluding that Nokia is a company in decline. 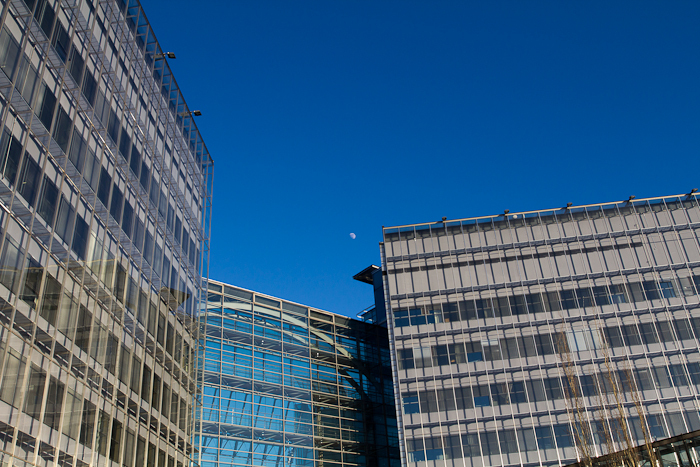 The Next Web was at Nokia’s Helsinki HQ this week, and following a short tour of the premises – including a mini Nokia mobile phone museum covering the company’s product history – we met with Doug Dawson, Media Relations head at Nokia. There was a real focus on the heritage of the company from the start of the informal discussion, but when it came to discussing specifics relating to where things are now – in particular, where things may have gone wrong of late, there was little being given away. When asked whether the company should ditch the handset side of the business and focus on research and development instead, given the market share it’s losing in smartphones, Dawson answered: “We’re a product company, we want to remain a product company. And we want to remain a global company with a strong global presence. We want to be a key player in a fascinating market.” Okay, so what does that mean? Nokia’s official position that Microsoft won’t be buying Nokia’s mobile phone business wasn’t deviated from here, but then again that’s what we expected. Dawson insists any such rumors are completely baseless. Nurmi pinpointed several “building blocks” in Nokia’s strategy moving forward – nothing Earth-shattering, but it did reinforce the company’s intention to hit the next billion customers in terms of mobile Internet – namely in developing countries, as we’ve written before. And he also mentioned the major announcement coming on 21st of June, a new device that supposedly will disrupt the market in a big way. Will the mapping and navigation service be rebranded under Bing? This is under discussion, as noted by TechEye, but it’s not definite. But Nokia maps will be brought into Windows phones and – crucially – it is probably going to be launched across many Microsoft ‘touch points’, which means it may be used in other handset manufacturers products with the Windows platform. As for Symbian, well, it’s not dead yet. “We want to make the transition to Windows fast. But we still want to support Symbian for the immediate future,” said Nurmi. Another potential future development was – again no time-frame was given – that Nokia will consider Micro SIM cards, which could mean space for more powerful batteries. So, we’ll await the big announcement on Tuesday with bated breath. This had better be huge, as Nokia’s been hitting the headlines for all the wrong reasons of late, and it really could do with some positive news for a change. Read next: Does the Middle East need a curated web?